Comments on Judge Riddle remarks "There has been considerable adverse publicity in Sweden for Mr Assange, in the popular press,"
These are instead the determinant facts in the context (and about that one miss amid numerous skilful assertions from the part of Björn Hurtig at the London Court). The paramount fact is that the Swedish prosecutors DID ALLOW ASSANGE TO LEAVE SWEDEN without making the interrogation a compulsory or conditional item for his leave! This fact in the strongest meaning confirm the artificial - also called “malicious” - manoeuvre of try the arresting of Assange abroad, a sine-qua-non condition for having him extradited to Sweden and therefore held him incommunicado in waiting for – in a worst, yet highly credible scenario – the extradition, alternative illegal rendition to the USA. Sweden does have a proven experience and routine as to how implement such illegal rendition. In fact, is the disclosure by Wikileaks of such “operative -intelligence” cooperation between the Swedish government and the USA one of the most potent explanations of Swedish official vendetta against Assange and Wikileaks. Hurtig did also declare in the London proceedings of Feb 8 – fact which was not rebutted by the Crown prosecutor acting in Sweden’s behalf – in good time prior to Assange’s departure from Sweden (to Germany, and then the UK) he had contacted prosecutor Marianne Ny suggesting a new date for the prosecutor’s questioning of Assange but she adduced unavailability from her part. That a new questioning of Assange never took place (The Independent journalists seem to forget that Assange had indeed been interrogated extensively by the police on the issue. See the leaked police report) is then hardly solely accountable to a sms-message missed by Hurtig. Ergo, the argument of Assange’s defence in disclosing the truly nature of the extradition warrant do remain in its full power. The vicissitudes around one sms message – received surely amid hundred others by that time by Hurtig - have no bearing at all in the solidity of Assange’s position with regard to the “peculiar” position of de Swedish Judiciary and its outmost artificially constructed proceeding in the Assange case. Judge Howard Riddle, in assessing the relevance of the witness-statements of Brita Sundberg-Weitman, might have missed the main relevant, and for the case only determinant point of such witness statement. For it are her professional and academic experiences, and her expertise-knowledge on the Swedish judiciary and legal-system, what makes the witnessing of Sundberg-Weitman valuable in the reviewing of the publicly known procedures performed by Marianne Ny as prosecutor in the case Assange. Ultimately, it was about an expertise assessment from the part of Associate Professor and former Judge Sundberg-Weitman as to which extent are the public professional doings of Marianne Ny (her public activities as prosecutor, or her statements in commenting legal issues, lecturing, etc.) congruent with Swedish judiciary and legal praxis. Therefore, the question eventually to rise by Riddle with regard to the quality of her testimony would have instead had emphasis on how well, or under which professional position or circumstances, Brita Sundberg-Weitman knows what she does about the judiciary and legal praxis of Sweden. Nothing more. Likewise, whether Sundberg-Weitman was personally acquainted with Ny, or how much she was directly involved with the case itself is downright irrelevant. And the fact that she was NOT could hardly speak against the objectivity of her testimony. Quite at the contrary, if the witness would have had a personal or close professional acquaintance with Prosecutor Ny, then her witness-report would have been scrutinized from the view as to whether that close relationship would have bias her statement. If I may protract the issue a bid further (just an argument of logics, not juridical): Do consider that neither Howard Riddle has ever worked close to the case or have had a personal or close knowledge of the procedures done by Ny in the case (the argumentation used to “disqualify” the witness). At the moment of the Court proceedings, all the cards shown, Judge Sundberg-Weitman knew as much or as little as Judge Riddle on the issue “personal or close knowledge of the procedures”. Yet he passes judgment ad-hominem against her testimony exclusively based on that matter. Which, as I said above it was not even the point with her witnessing. It is solely the professional and academic experience (of Brita Sundberg-Weitman) as such the valuable parameter for judging whether prosecutor Marianne Ny’s registered doings as public-prosecutor or commenter are or not in consistence with acceptable Swedish judiciary praxis. Other issues for instance that witness Sundberg-Witman stated in London "she had no personal acquaintance with Ny" (The Christian Science Monitor, 8/2) are in the context wholly irrelevant. My appeal for support to the Assange cause is not motivated in the "fear" - and this is strictly my personal view - that Assange would really risk a negative outcome from the part of a Swedish court. Of course nothing can be totally predictable in such matters, but my point is that there is not a chance for a juridical case against Assange and my conviction is that in no instance a Court-tenable case could be started against Julian Assange, or if so, ending in a negative sentence. The case it will be most possible - or it should be - dismissed after a little show making possible for Bodström/Borgström save face, like wise Marianne Ny, the infallible Swedish system, etc. As you have also referred, although in other terms, the accusations are ominous ungrounded and deprived of evidence. The peril is however in another level. First, that Phase-Sweden II would entail the extradition, legal or illegally to the USA or to another country. In this point, frankly I am not in disposition to consider any utopian argument à la Sven-Erik Alhem who would have indicated in London that such extraordinary measure is not conceivable in Sweden, that if so it would occasion a “media storm” etc. If Sven-Erik did not know about the extraordinary renditions (so are they also called) which have happened in Sweden – several times – I would understand his statement. It was an unfortunate statement because Judge Howard Riddle used it as “the only live evidence” on that such peril would not exist for JA in Sweden. Alhem, which has a reputation of solid ethics, is not the kind of person that would imagine as first scenario the judicial system he had represented as one to be trespassed by a bunch of corrupted politicians in secret agreements with foreign powers. But “things” happens. And they had in Sweden. I have myself been imprisoned in similar conditions accused of subversive activity, before and under Pinochet’s dictatorship. I do know what I am talking about, however I have to respect that not everybody can conceive that such illegal measures from democratic governments can in true be implemented in the darkness offered by peoples’ trust and passivity. Nevertheless “ignorantia non est argumentum” (Baruch de Spinoza, 1677). That you do not know about a happening does not mean that the event has not actually occurred, or that it may happen again, in this case. Sweden DO HAVE a recorded praxis of extraordinary renditions, concretely, political prisoners which after the request of the USA are in Swedish territory. Finally, the fact is that, regarding the legal or “open” requests of extradition from the USA, Sweden has granted extradition to the USA in ALL OF CASES in which the asked person was in Swedish territory. "TONY EASTLEY: As mentioned the British judge's verdict isn't the end of the matter and for the foreseeable future Mr Assange will remain in Britain. 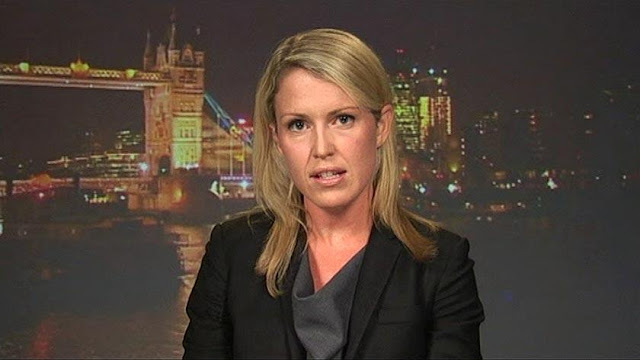 Jennifer Robinson is one of Mr Assange's legal team. Jennifer Robinson was the verdict a surprise? JENNIFER ROBINSON: It wasn't completely unexpected Tony. European arrest warrant cases are notoriously difficult to defend. In 95 per cent of them the person requested is indeed extradited to the country that has requested them. TONY EASTLEY: But surely it doesn't help his case overall to be told that the magistrate has come down on the side of the Swedish authorities? JENNIFER ROBINSON: Well that's the way it goes and that's why we have appeal processes. In a number of cases in the last year this same judge has come down hard on European arrest warrant cases and the person has then won on appeal at the High Court. We believe that we have very strong arguments to be put. For example on the question of criminality, that means that it is, the courts will not extradite Julian if we can demonstrate that the conduct alleged would not amount to a crime in England. We have an expert report from the most senior criminal lawyer in this country, the Vinerian Oxford criminal law professor, professor Andrew Ashworth, who said this would not amount to a crime. None of the acts specified that form the basis of the warrant would amount to a crime in this country. JENNIFER ROBINSON: The judge today disagreed. TONY EASTLEY: Yeah you'll be taking that to appeal. TONY EASTLEY: The magistrate did say however that Mr Assange's Swedish lawyer deliberately misled the court by claiming that local authorities had not first tried to interview his client. Can you explain that? JENNIFER ROBINSON: I think that's a simplification and I think the criticism that Mr Hurtig received today was somewhat in my humble view unfair. We have to remember that the authorities did have some communications with Mr Assange and Mr Hurtig prior to him leaving Sweden and we acknowledge that. Mr Assange had offered himself for interview. Indeed he was interviewed on the 30th of August. He then suggested a number of other dates and the prosecutor denied those on the grounds that a police officer was sick. Of the 20,000 strong police force in Sweden that was a reason to deny him an interview. Then subsequent to that it was only in the week of 21 September that the judge was speaking of, the prosecutor made one or two attempts, one via text message and one telephone call with Mr Hurtig to arrange an interview. He was unable to contact Julian at that time. TONY EASTLEY: So it was a slip-up. JENNIFER ROBINSON: It was a slip-up and he acknowledged that in his evidence in chief. But unfortunately the way it appeared on cross-examination, the way the judge presented it today is I think very, really unfair. TONY EASTLEY: What's the next step? JENNIFER ROBINSON: We will be appealing. We have seven days to appeal from the day of the decision which was today. So we'll be filing that appeal to go before the High Court in this matter." From your article on Newsmill, 28/2 "Flashback have on Julian Assange alone two and a half million views visiting 2 500 posts." If the 2.500 posts are referring to how many posts there are in the "big" thread concerning the legal case (though there are more threads in connection with Julian Assange than the legal one), you've missed a zero - the number should be 25.000+ (today it's actually even 26.000+!). Thanks. I am aware of that erratum (mine, not Newsmill's). I sent yesterday an email Webmaster-service but it showed to be a non-reply system. Now is Newsmill fixing the errata. My apology to Flashback brave authors and readers.